We are experienced in manufacturing custom made covers for various models of mobility scooter and golf buggies. If your vehicle has a frame to fit a cover to, we can make it to include clear PVC panels and roll up doors to allow access. 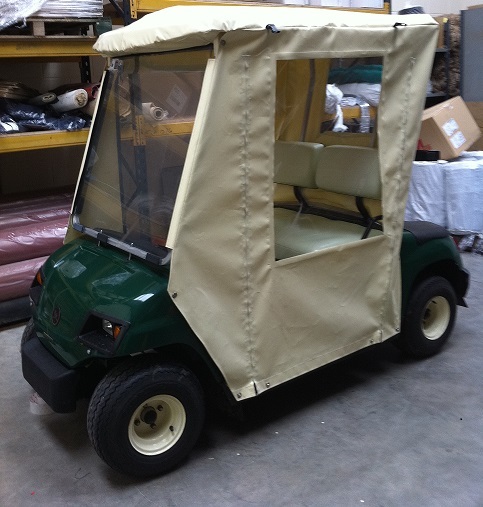 Our highly skilled experts can design, develop and manufacture a made to measure tarpaulin cover to suit your golf buggy or scooter. Do you need a Golf Buggy or Mobility Scooter Cover? We will use your details below to communicate with you regarding your enquiry. We will not add you to any marketing lists.